Majic is a mobile application platform comprising a client/server application delivery and management system, designed and built to securely deliver rich applications to networked devices such as smartphones and tablets. Simply put, Majic technology enables fully functional applications to run on practically any mobile device, delivering rich functionality in a highly secure manner. Majic enables components to be secured and authenticated (digitally signed) during both deployment and delivery, ensuring ‘from the ground up’ security and authenticity for all Majic-based applications, and all connections between the device (client) and server elements of Majic are encrypted. On the device, Majic applications are executed within a secure virtual container, which leaves behind no data whatsoever when the user has exited the application, ensuring that sensitive data cannot be compromised. 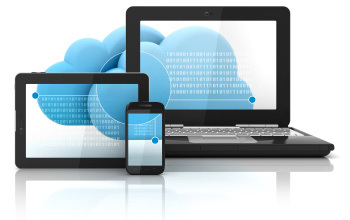 Majic is perfect for enterprises implementing a BYOD (Bring Your Own Device) strategy. Majic applications are inherently-secure digital fortresses, within which the logic of an enterprise application can execute without being effected by other factors on the mobile device.